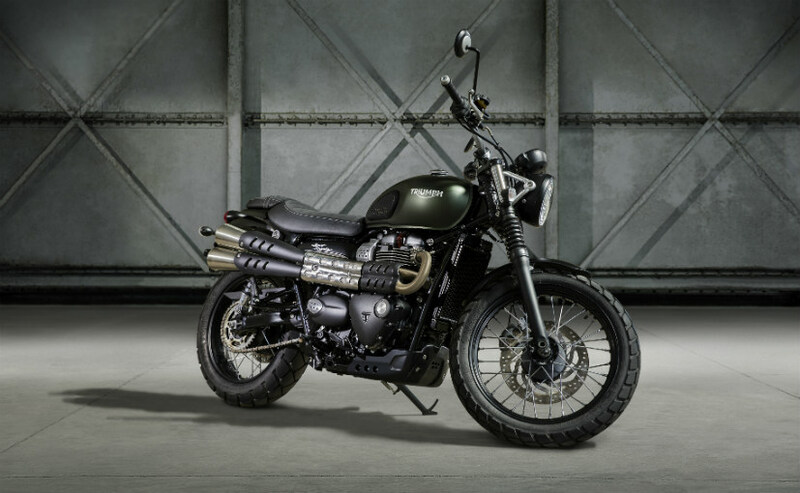 EICMA 2016 Milan is still heating the roads, and as a part of it Triumph motorcycles, the British bike manufacturing firm has showcased its all new Street Scrambler, which is totally based on the Street Twin Platform, just like the name suggests. The new Triumph model features a new chassis, which includes a longer rear shock for off-road situations. Its wide handlebar along with a 19-inch spoked wheel at front and a 17-inch rear rim are supposed provide quite nice balancing. It is blessed with Metzeler Tourance tyres to provide better gripping on off-road conditions. 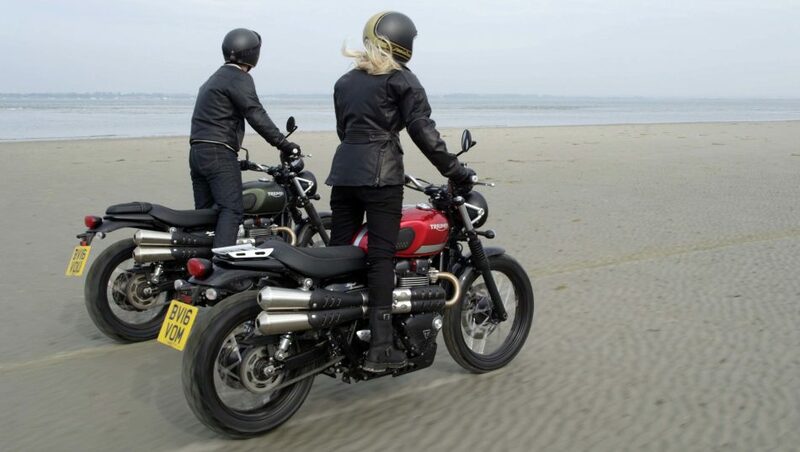 The Street Scrambler comes equipped with a low height seat to cater to a wider customer base. Apart from these, the bike packs an interchangeable pillion seat and aluminium rear rack, removable pillion pegs and adventure style front pegs. The cruiser also includes a bash plate to be suitable for off-road adventures. The bike looks at its best from the right side, which is mounted with stainless steel exhaust. Coming to the engine, the ravishing cruiser is fueled with a 900cc parallel-twin motor, which is capable of delivering 55 bhp and a peak torque of 80Nm with the help of a six-speed transmission unit. The Street Scramble just like Street Twin also gets a USB charging point with approx 150 accessories option. 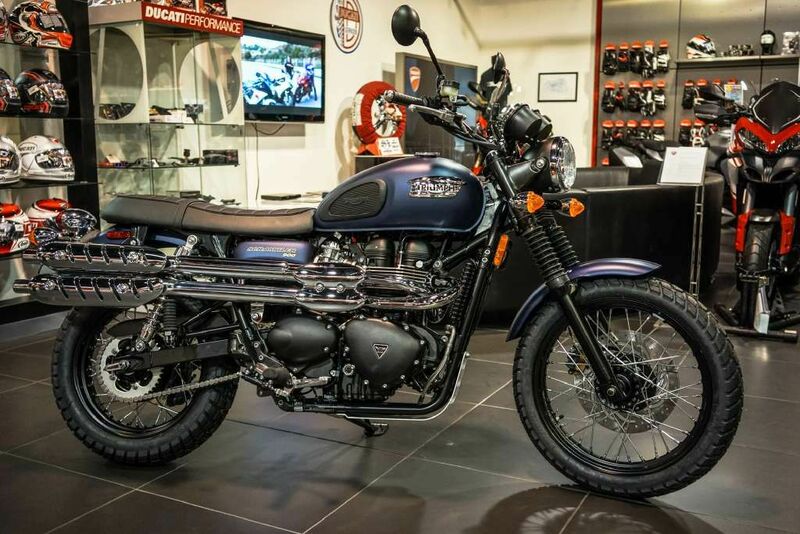 The Street Twin is expected to launch sometime in next year.